​One of the biggest revelations to people who enter Connected work is that a horse senses whether you are “Live Weight” or “Dead Weight” even if you are working them from the ground. The ability to move your joints and oscillate, or “buoy” in your body depends upon finding and maintaining a functional posture. A posture that “works” is one that allows your bones and joints to move. 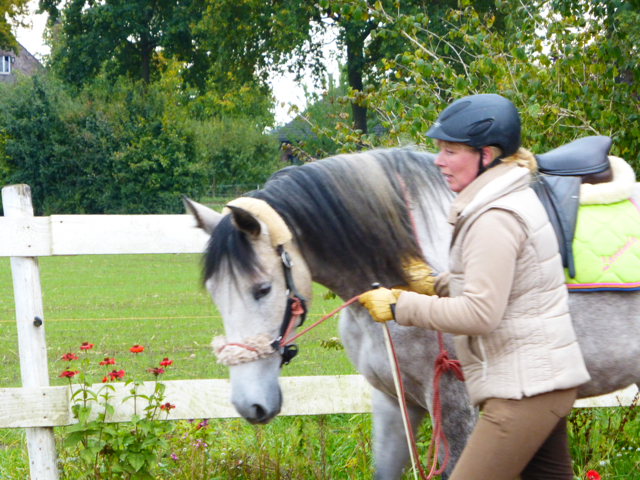 This is a neutral posture and from this posture you can offer an elastic and supportive connection so that you and your horse move in freedom, together. If you arch or slump in your posture, you immediately become dead weight to your horse and when you feel heavy; your horse will match you in kind. I am not an "official" TTeam practitioner. 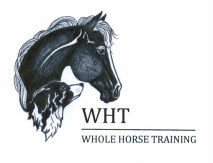 I have, however, attended workshops and reciceived guideance from skilled teachers who have shown me the value of this work, developed by Linda Tellington-Jones, in building trust and confidence in horses of all kinds and levels of training. I honestly cannot imagine developing a happy, willing partner without the use of TTeam groundwork. ​When we place the needs of our horses as the priority of our time spent with them, we must be willing to observe even the tiniest indications of tension or release. 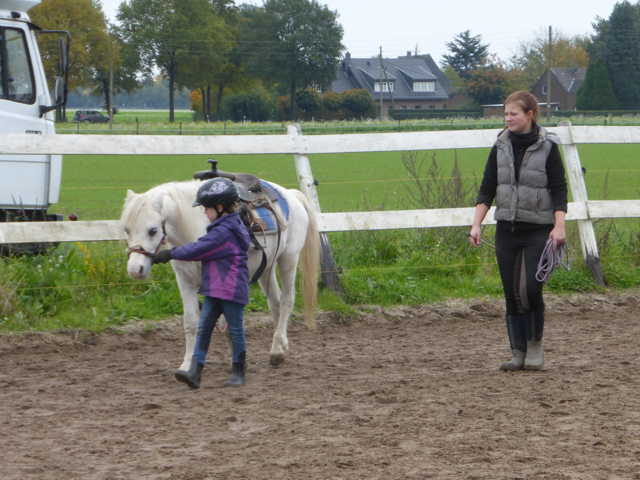 We must also allow time for each horse to process new experiences or awarenesses in their own time. Deep breaths, licking and chewing and half-closed eyes on a lowering head are signs that a horse’s nervous system is integrating the work. Translation: Leave your agenda at the door. This video demonstrates a Connected Groundwork® exercise called, Cheek Delineation. This exercise improves mobility and flexibility in the area of the poll and can help horses release in their TMJ joint, a place where tension often builds due to rigid postures created by hard hands, the use of training gadgets, and/or insufficient dental maintenance. 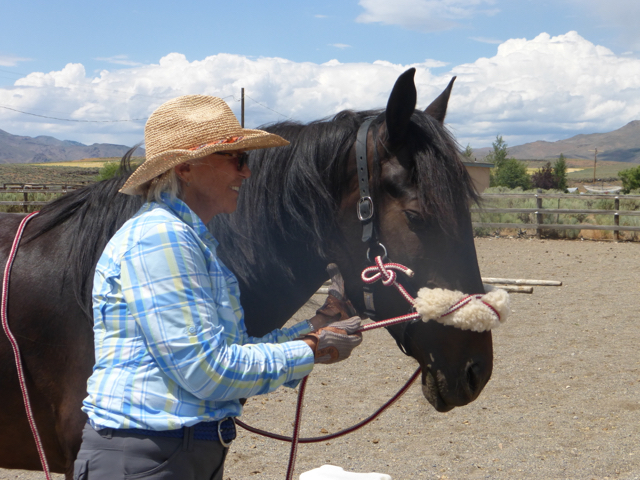 This Connected Groundwork® exercise called The Caterpillar, promotes a horse’s ability to telescope his neck. This action opens the throatlatch are, releases the poll and the area of the base of the neck, which in turn promotes freedom in the shoulders. Telescoping is the opposite of compression and is the most desirable posture in a horse’s neck. It’s never too early or too late for either a horse or a human to Connect!